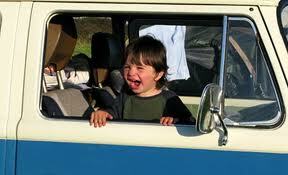 Let not the thought of traveling with children stop you this holiday season. 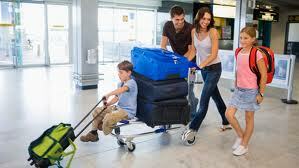 For a hassle free travel with children it is important to plan and follow some of the tips given in this article. We are sure the family holiday will rejuvenate you and be great fun for all. Somehow or the other we have got into a mindset where we are not open to travelling with young children. It is something that young parents tend to avoid as far as possible. During travel the restlessness and tantrums of the kids can simply drain out the goodness from the experience making one feel that there is nothing like an enjoyable family holiday. What we are trying to tell you here is that with some planning and smartness, you can still enjoy a meaningful family holiday. Yes, be it your first or second or third trip with young children two things are necessary, first planning and second a slower trip. Remember gone are the days when you could just throw your clothes in a rucksack and put up for the night where ever you got bedding. Plan your route and your stopovers. You cannot presume that your children will be comfortable where ever you take them. If you do not want to end up with six pairs of uppers and no lowers to wear make sure that packing is supervised by one person. The best way to ensure that nothing essential is left out is to keep piling things in one corner of the room. Toothpaste, brushes, shampoo, thermometer and medicines. When it comes to clothes it is best to stash away the clothes that you are taking along in a suitcase. As long as they continue to be in the cupboard they continue to be used. Pack intelligently, all toiletries and medicines in different zip lock pouches and socks in shoes, layered clothing for winters rather than thick coats and natural fibers for warmer weathers. Carry extra pair of clothing in the hand luggage for just in case of an accident. Opt for buying cheap towels, inflatable swimming tubes and toiletries rather than packing them along. Irrespective of the distance that you are going to be travelling with your children it is important to keep them amused and entertained. Waiting between flights can also be tiresome and boring for children and in any case we are sure you would not like to be running behind them throughout the waiting lounge. Toys, puppets, reading books, Plasticine, cards for little older children, pads, pens a notepad there is so much to keep children amused. In case your children have special needs, it is recommended that you get in touch with other parents whose children have similar needs and take some travel tips from them. Invest in an identity bracelet with your child’s medical condition mentioned on it and the doctor’s name. In case anyone travelling along has some serious allergies do not forget to carry the card that mentions the allergy and its gravity. It is best to carry the card in the language of the country you are travelling to. Try to check into a hotel that is family friendly. Ask the hotel what all they are offering – cots, high chairs, kids clubs, swimming pool and security. If the hotel has separate facilities for children and adults schedule your sessions simultaneously. While you will be able to enjoy your sessions better, you will be available for your children when they are free. Do not forget to ask the hotel if a baby sitter can be arranged and how much time before you need to make the booking. Amongst all this stuff do not forget to check and cross check if you have kept the necessary documents. Ensure you are carrying extra photo copies of the passport, travel insurance and other travel documents.